Between 1276 and 1178 BC, a confederation of pirates known collectively as the Sea Peoples terrorized the coastal cities and civilizations of the eastern Mediterranean. For the most part, these pirates, who were the Bronze Age precursors to the Vikings of Scandinavia, preyed upon Egypt, which at that time was in its New Kingdom period. What followed was a series of destructive raids that culminated in two major battles—the Battle of Djahy and the Battle of the Delta. 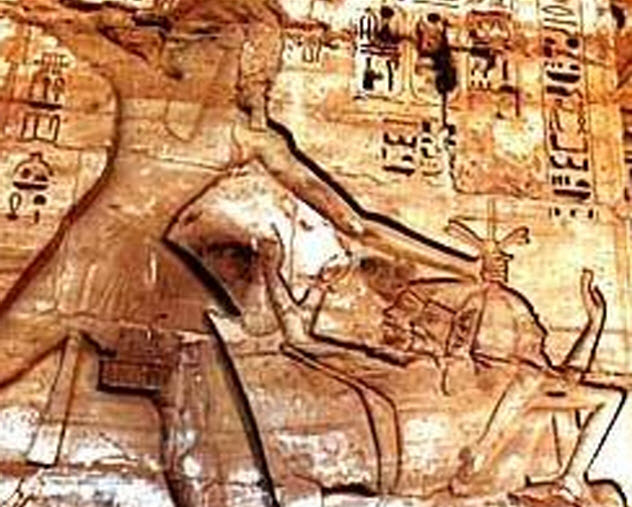 The former, a land battle, was won by the army of Pharaoh Ramses III. The latter, a naval battle, not only repulsed one of the last major invasions by the Sea Peoples but may very well have saved ancient Egyptian civilization. Despite their important role in history and the widely held notion that they were responsible for the Late Bronze Age Collapse, a near-catastrophic decline in civilization throughout the Aegean and eastern Mediterranean, the Sea Peoples remain the subject of controversy. Although there are many areas of consensus, some historians and archaeologists continue to discover new interpretations. The following 10 theories present a spectrum of the many different theories regarding the Sea Peoples. 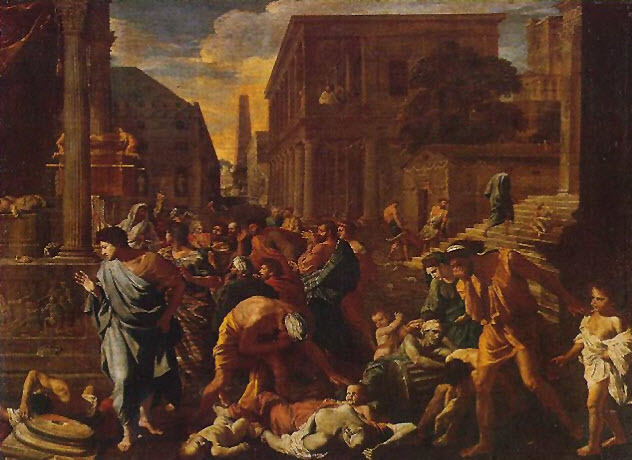 Depicted as the archvillains of the ancient Israelites in the Old Testament, the Philistines settled the southern coast of Israel (which today includes the Gaza Strip). After establishing settlements, the Philistines formed a confederation of city-states that included Gaza, Ashkelon, Ashdod, Gath, and Ekron. The Philistines came into conflict with the Israelites once they started expanding their power beyond their coastal domains. Because of this conflict, the Israelites not only demonized the Philistines but made actual demons out of their gods, including the fish god Dagon. Elsewhere in the Bible, the Philistines were synthesized in the form of the giant Goliath, a proud, loutish warrior who is bested by the small and humble fighter David. Outside of the Bible, the Philistines are mentioned in several Syrian, Phoenician, and Egyptian letters. While it is generally considered that the Philistines were a group of Sea Peoples who settled the area, not everyone agrees on their exact origins. One of the more common theories is that the Philistines were originally from the Aegean Sea region, with many more people claiming that the Philistines were Mycenaean Greeks. Archaeological digs near the ancient Philistine city of Gath uncovered pieces of pottery that bear close similarities to ancient Greek objects. Furthermore, a red-and-black ceramic bear taken from one of the excavations almost certainly points to the influence of the Mycenaean culture. 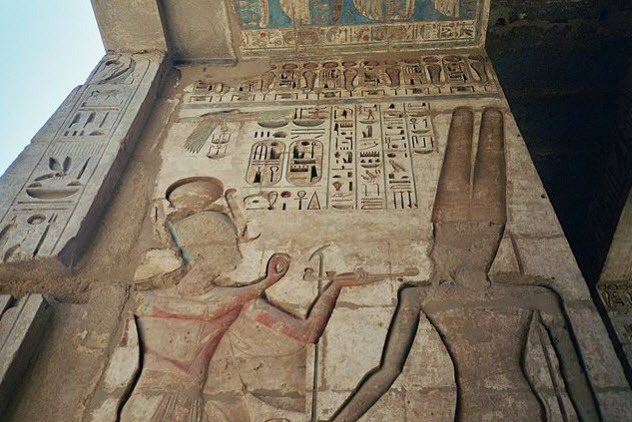 In the Medinet Habu, a mortuary temple dedicated to Ramses III, there is carved into the stone the most famous depiction of the Sea Peoples. Showing several battles, the relief closely identifies the Sea Peoples with several different types of headwear. The most striking group is depicted wearing horned helmets. It is commonly believed that these fighters belong to the Sherden, one of nine groups named by Egyptian records. Again, because the ancient Egyptians were mostly interested in fighting and defeating the Sea Peoples, they did not keep detailed records concerning their origins. However, several researchers have concluded that the Sherden people were from Sardinia. Specifically, the Sherden are considered part of the island’s Nuragic civilization, a little-known civilization that left behind numerous stone sites, including towers, houses, and burial complexes. The Nuragic people (so named because of their stone structures, or “nuraghe”) also left behind statues, including Bronze Age figurines showing Sardinian warriors wearing horned helmets. 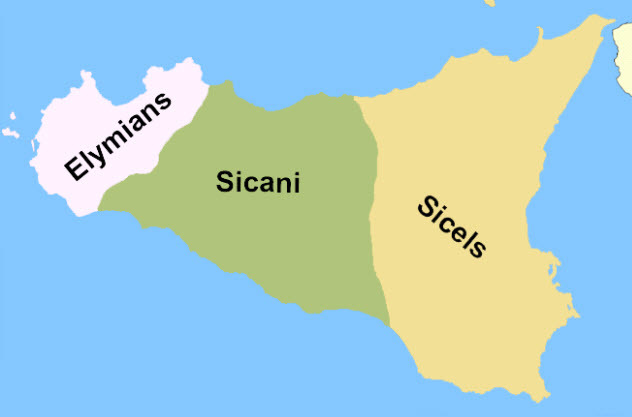 Following the age of the Sea Peoples, the island of Sicily was divided between three major tribes—the Elymians, the Sicani, and the Siculi (sometimes referred to as the Sicels). While the Sicani were indigenous to the island, the Elymians are believed to have originally come from Asia Minor and had deep connections to the Greek city-states of the Aegean Sea. The Sicels, on the other hand, were likely an Italic tribe from the mainland. All three tribes may have connections to the Sea Peoples, but it is believed that marauders from Sicily were part of the invasions by the Sea Peoples. Specifically, these Sicilian pirates were called the Shekelesh by the Egyptians. 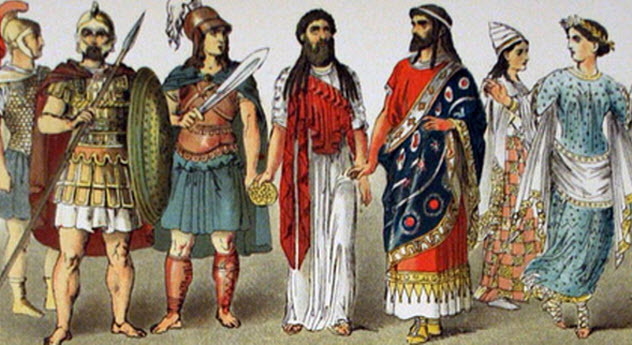 For their part, the later Greek conquerors of ancient Sicily believed that the Sicels had fled to Troy after being defeated by the Egyptians. From there, they traveled to southern Italy and finally to Sicily. Modern historians seem to corroborate this belief that the Sicels and the Elymians were both defeated members of the Sea Peoples confederation who found shelter in Sicily. Few European civilizations remain as mysterious as the Etruscans. These inhabitants of northern and central Italy left behind a still mostly indecipherable alphabet and language, thereby forcing historians to rely for further information on Roman records as well as the colorful tombs that the Etruscans built for one another. The question of Etruscan origins is far from new because the ancient Greeks pondered the issue themselves. While some ancient Greeks believed that the Etruscans were related to the Pelasgians, an Aegean tribe who spoke a dialect of Mycenaean Greek, Dionysius of Halicarnassus claimed that the Etruscans were in fact the native inhabitants of Italy. The most often repeated assertion comes from Herodotus, however. Herodotus (and later Virgil) believed that the Etruscans came from the Anatolian region of Lydia and were led to Italy by King Tyrrhenus. Interestingly enough, one of the Sea Peoples were the Teresh, whom some ancient historians also called the Tyrrhenians. According to this theory, the forefathers of the Etruscans were originally Greek pirates who sacked and settled Lydia before being pushed out of Anatolia by a famine. This origin might explain the similarities between Etruscan and Greek religions. While most of the Sea Peoples came from either the Aegean or the wider Mediterranean, many historians argue that groups from the Adriatic Sea also joined the migration. 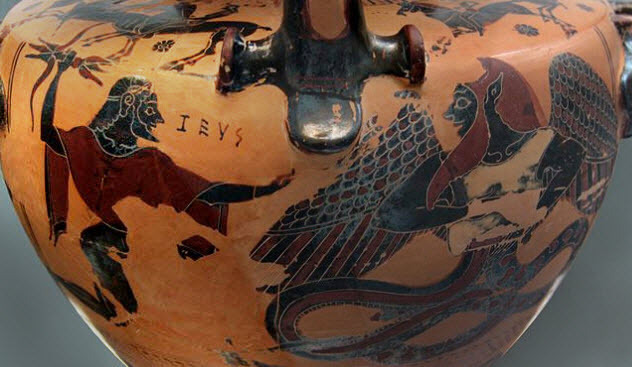 Specifically, Austrian historian Fritz Schachermeyr asserted in 1982 that the Sherden and Shekelesh were originally from the Adriatic and had connections to the ancient Illyrians. 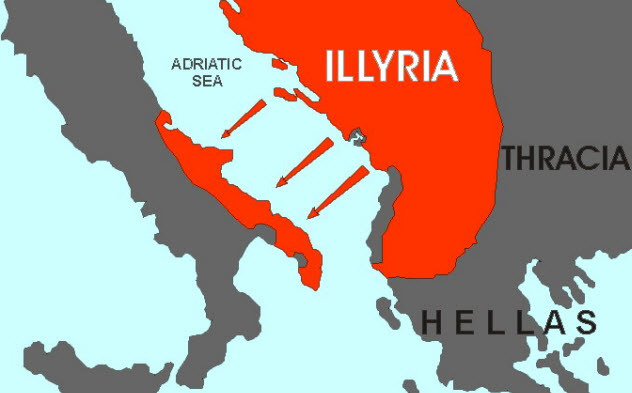 Today, little is known about the Illyrians besides the fact that they were a tribal confederation that ruled much of modern-day Croatia, Slovenia, Montenegro, Bosnia, Serbia, and Albania. Furthermore, it is also believed that certain Illyrian tribes settled the Italian peninsula and intermixed with local Italic tribes. Recently, two researchers with Vienna University dispelled another notion about the Illyrians—that their language directly influenced modern Albanian. Although Schachermeyr’s theory is not commonly held among students of the Sea Peoples, there are those who continue to believe that a famine in the Balkans drove several tribes, including the Illyrians, to migrate over land and over water. The Battle of Troy is the heart of The Iliad, one of the Western world’s oldest works of literature. The epic poem describes the protracted siege of Troy by several armies representing the many different tribes of Greece. Three of these tribes—the Danoi, the Teucrians, and the Achaeans—may have participated in the Sea Peoples invasions. In the Great Karnak Inscription and the Merneptah Stele, these Greek tribes are called the Denyen, the Tjeker, and the Ekwesh, respectively. However, none of this is set in stone, even though the Aegean region certainly provided a majority of the pirates involved in the Sea Peoples confederation. 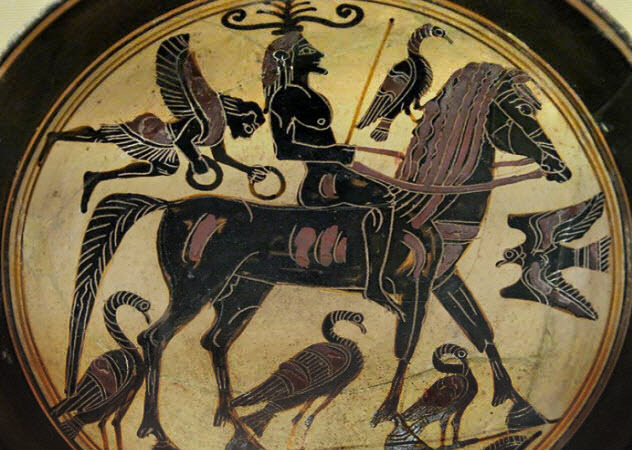 Insofar as the Trojan War is concerned, many believed that Homer’s poem was a fictional rendering of a real confrontation between a Greek confederation and the native inhabitants of Troy (who may be the ancestors of the Etruscans). Tantalizingly, the Tawagalawa letter, which was written by an unnamed Hittite king (generally believed to be Hattusili III) to the king of Ahhiyawa (an ancient Anatolia kingdom just south of Troy), speaks of an incident involving Wilusa. Specifically, the letter tells of a recent war between the Hittites and Ahhiyawa over Wilusa. Many believe that Wilusa, which belonged to the kingdom of Arzawa, was the Hittite name for Troy while Ahhiyawa was the name the Hittites gave to the Mycenaean Greek civilization of Asia Minor. This isn’t mere speculation because archaeological evidence recovered from western Turkey certainly points to the fact that Bronze Age Greeks developed city-states not far from lands claimed by the Hittites. Although a majority of the Sea Peoples may have come from the Greek mainland, it has been speculated that the island of Crete, which was then home to the powerful Minoan civilization, also produced raiders who participated in the conquests of the Sea Peoples. At times, Crete has been connected to the Tjeker and Peleset peoples, both of whom were lumped in with the Sea Peoples confederation by ancient Egyptian authors. Prior to the Late Bronze Age Collapse, the Minoans traded widely with the Egyptians and the civilizations of the Levant. Furthermore, in the Amarna Letters, Crete, which is called Caphtor, is included as one of the great regional powers that suffered under the constant attacks of the Sea Peoples. That being said, Minoan pirates, along with Mycenaean colonists who had settled both Crete and Cyprus, may have joined the Sea Peoples to capture livestock, booty, and slaves. Although it has been argued that the Sea Peoples undertook their voyages for plunder, some historians have claimed that the Sea Peoples were fleeing from invasions in their own homelands. Regarding Mycenaean Greece, Carl Blegen of the University of Cincinnati proposed the idea that the Greek people of the central coast were forced to flee their homes due to the Dorian invasion from the mountainous south. While most contend that the various Mycenaean city-states collapsed due to natural disasters, there are many who still contend that Mycenaean Greeks fled burning city-states and joined the Sea Peoples confederation to find new homes. The entire concept of the Dorian invasion comes from ancient Greek legend, specifically the Heracleidae, or the sons of Hercules. In the story, the exiled descendants of Hercules, who had been promised all of Greece, started a war to recapture their father’s lost land. From this, certain historians proposed a theory concerning the successful conquest of Mycenaean Greece by Greek-speaking tribes from Laconia. Accordingly, Doric Greek, which was spoken by the inhabitants of Sparta and Pylos, became the ruling language of post-Mycenaean Greece, better known as the Greek Dark Age. There are many problems with this theory, especially considering the dearth of archaeological evidence supporting it. But it does offer an interesting answer as to why the once-powerful city-states of Mycenaean Greece collapsed. Considering that most of the Sea Peoples came from Europe, it has been proposed that their incursions into the eastern Mediterranean form a sort of Indo-European migration period. Although it is not certain, it is likely that most of the Sea Peoples spoke different Indo-European languages, from Mycenaean Greek to the various Italic languages of Italy and Sicily. Similarly, the degree to which the Sea Peoples created permanent settlements in the eastern Mediterranean is in dispute, but they were likely joined by a concurrent land migration coming from both Europe and Asia Minor. Some have proposed the dubious theory that “Land Peoples” from as far north as the Carpathian Mountains joined this migration, while others have noticed that the Lukka, one of the named Sea Peoples, seem similar to the Lydians or Luwians, two Indo-European peoples from western and central Asia Minor. Indeed, the Anatolian kingdom of Kizzuwatna, which is today located in southwestern Turkey, may have included settlers from both Phoenicia and Mycenaean Greece. 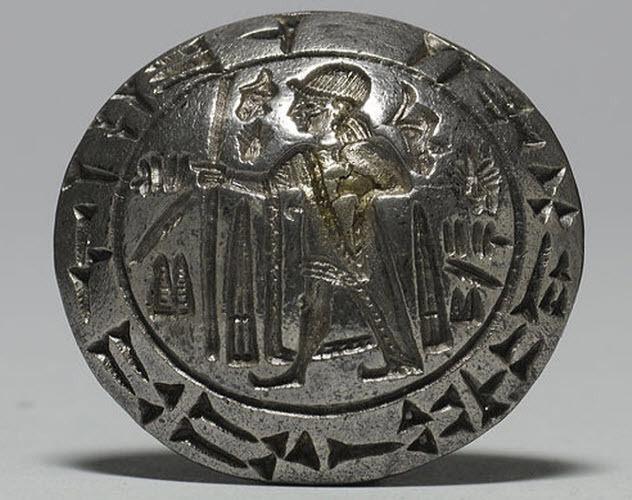 Furthermore, Hittite records may point to some Indo-European migrations predating the Sea Peoples, such as the conquests of Attarsiya, a Mycenaean Greek general who not only helped to establish the Greek kingdom of Ahhiya but also invaded Cyprus and various Hittite vassal states, including Arzawa. As previously mentioned, some scholars believe that The Iliad recalls an ancient war between the Mycenaean Greek state of Ahhiyawa and the Hittite Empire. Similarly, The Odyssey details the attempts of the Greek general Odysseus to return to the island of Ithaca after serving in the Trojan War. 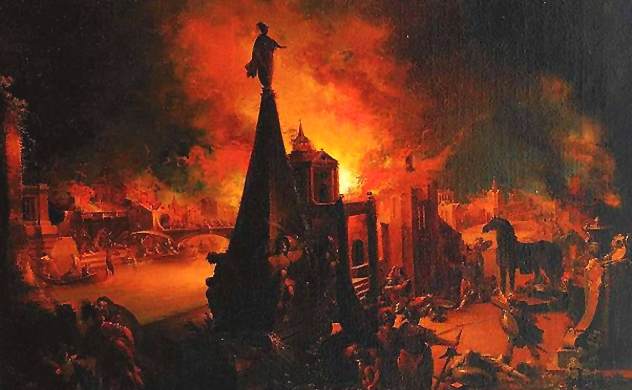 Although these are the most famous examples of Greek legends dealing with the eastern Mediterranean, other legends point to a possible Greek memory of settlement in the Near East. For instance, the story of Zeus, the chief god of the Olympians, and his battle with the monster Typhon likely comes from Cilicia, a kingdom in southern Anatolia controlled by the Hittites. Before the collapse of Mycenae, Greeks settled Cilicia in large numbers. From there, the Greeks absorbed Hittite and Cilician legends, including the story of a sea dragon defeated by a thunder god. The Greek story of Teucer, one of the heroes of the Trojan War, similarly showcases a familiarity with the ancient Near East. It is said that Teucer and his men settled Crete and Cyprus and then set out on many voyages that took them through Canaan and Phoenician cities such as Sidon. It is possible that the story of Teucer, as well as other stories concerning the travels of Greek heroes following the Trojan War, may be parables about Mycenaean Greek settlement in the Near East during the age of the Sea Peoples.